- This promotion is valid from 1 April 2019 to 31 December 2019. The stay period to be completed by 31 December 2019. - This offer is open to all Citi Credit Cards issued from Australia, China, Hong Kong, India, Indonesia, Korea, Malaysia, the Philippines, Poland, Russia, Singapore, Thailand, Taiwan, the UAE, Bahrain and Vietnam and payment must be made with a Citi Credit Card to enjoy the offer. 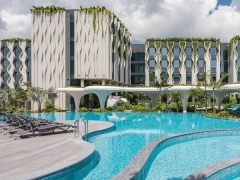 - This promotion is only valid for room reservations made on https://www.stayfareast.com/en/deals/citibank-sentosa. - This promotion cannot be applied for existing room reservations. - Rooms and/or apartments are subject to availability. - All rates indicated are subject to a 10% service charge and prevailing government taxes. 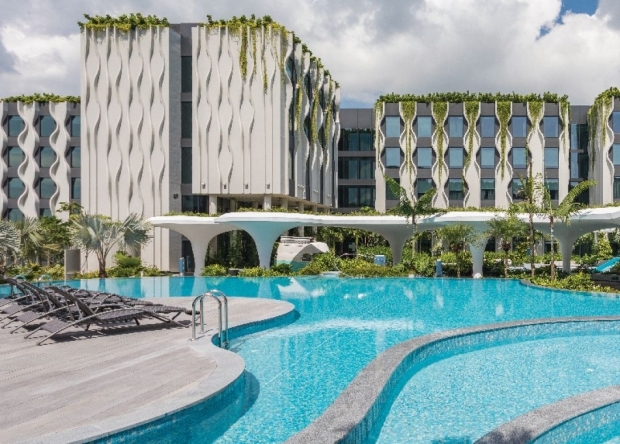 - Far East Hospitality will not be able to exchange the discount for cash, other privileges or value-adds, nor will Far East Hospitality be able to transfer the discount to another guest. - Please use your Citi Credit Card when making room reservations; and present your Citi Credit Card over the counter upon check-in to enjoy the privilege. - Late check-out is subject to availability. - Citibank and Far East Hospitality reserve the right to amend or vary these terms and conditions, or withdraw or discontinue the promotion at any time without any notice or liability to any party. - All prices are quoted in Singapore dollars, unless otherwise stated. - Offers cannot be used in conjunction with any other promotions, vouchers/coupons, discounts or privileges, unless otherwise stated. - Citibank makes no warranty or representation as to the quality, merchantability or fitness for purpose of Far East Hospitality’s goods and services. Any dispute arising from the same must be resolved directly with the Partner. - Citibank shall not be liable for any loss, injury, claim or damage suffered or incurred as a result of the use of this promotion.